Japanese director Hirokazu Kore-eda's Shoplifters recently took home the prestigious Palme d'Or at Cannes, and it turns out that none other than Happy End/Yellow Magic Orchestra music hero Haruomi Hosono penned the soundtrack to the film. The award-winning film is set to premiere in Japan on Friday (June 8), and on that same day, Hosono will deliver his accompanying soundtrack release. Hosono composed all the songs for the soundtrack himself, both playing and mixing all 14 tracks on the album. 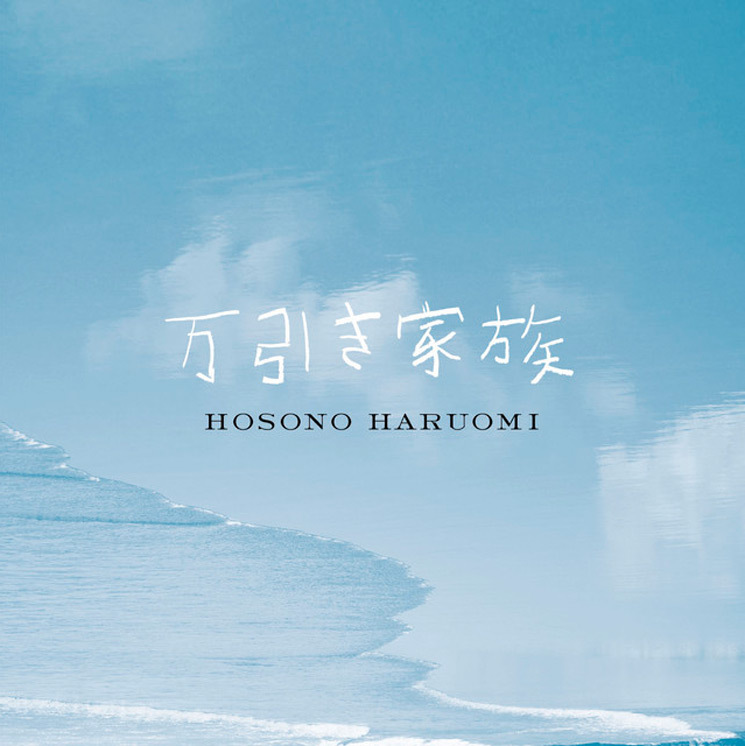 So far, no sound samples of Hosono's score have arrived online, but you can check out the album cover above and the tracklist below. As of yet, there's also unfortunately no sign of a soundtrack release of Shoplifters here in North America. But you can watch a trailer for the film itself below. UPDATE: You can now stream the entire album at the bottom of the page. Shoplifters (Manbiki Kazoku) is described as a tender portrait of a impoverished family in Tokyo, shining a light on Japan's often ignored issue of poverty. After winning the top prize at Cannes, the film made headlines due to Japanese Prime Minister Shinzo Abe failing to congratulate Kore-eda — a move typically unheard of in Japan and one that has fuelled rumours that the film has angered the conservative leader. As recently reported, Hosono is the subject of a new reissue campaign from Light in the Attic. You can learn more about that here.